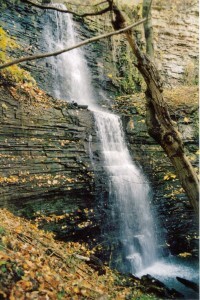 Cliffview Falls is a Terraced Ribbon Cascade. It has a height of 15 metres (50 feet) and a crest width of 3 metres (10 feet). 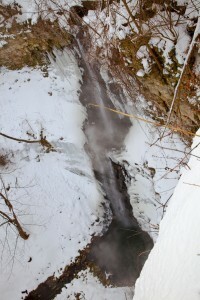 It has water flowing year round. 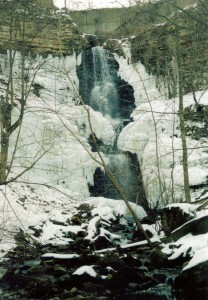 Cliffview Falls is located beside Cliffview Park on Hamilton’s Escarpment on Scenic Drive at Upper Paradise Road. When you are walking on the west side of the park adjacent to the deep ravine or canyon, you may not see the waterfall if leaves are on the trees, but you will hear it. 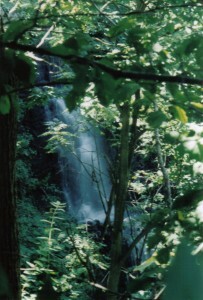 On the west side of the ravine is a platform to view the waterfall – it is located right off of the sidewalk. 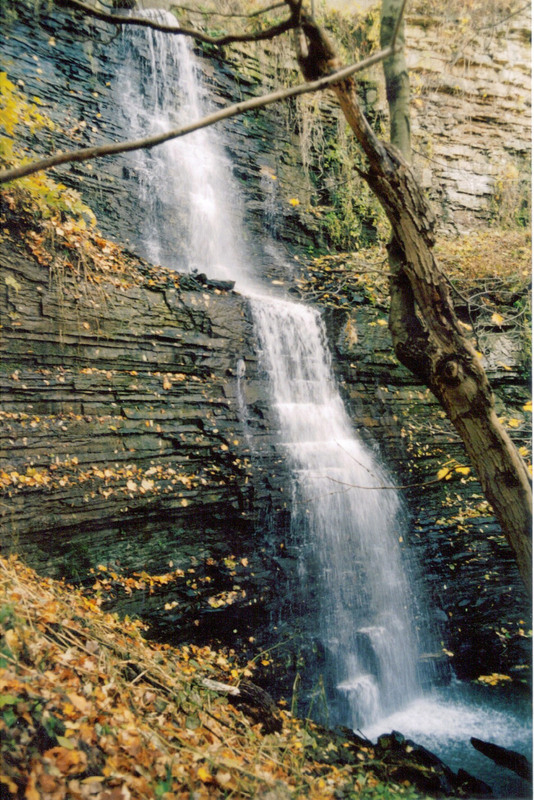 If you want to see Cliffview Falls from the bottom, you have to climb down the metal stairs at the north-west corner of Cliffview Park to the Chedoke Golf Course. 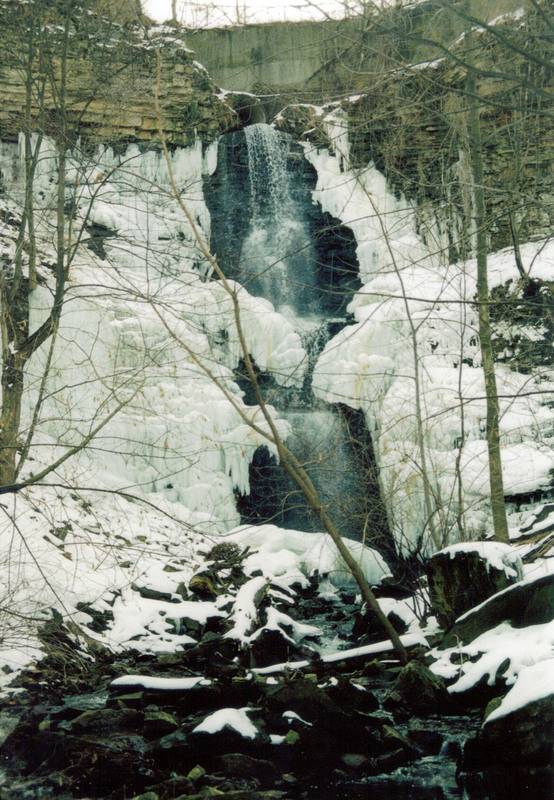 Then walk up the escarpment beside the stairs to the first landing, go under the landing and go westward towards the first creek, there is no trail. Once you find the first creek or ravine, follow it upstream about 200 m to Cliffview Falls. This is a very difficult route and fairly dangerous. Waterproof boots are recommended as you may have to walk up the creek in places.